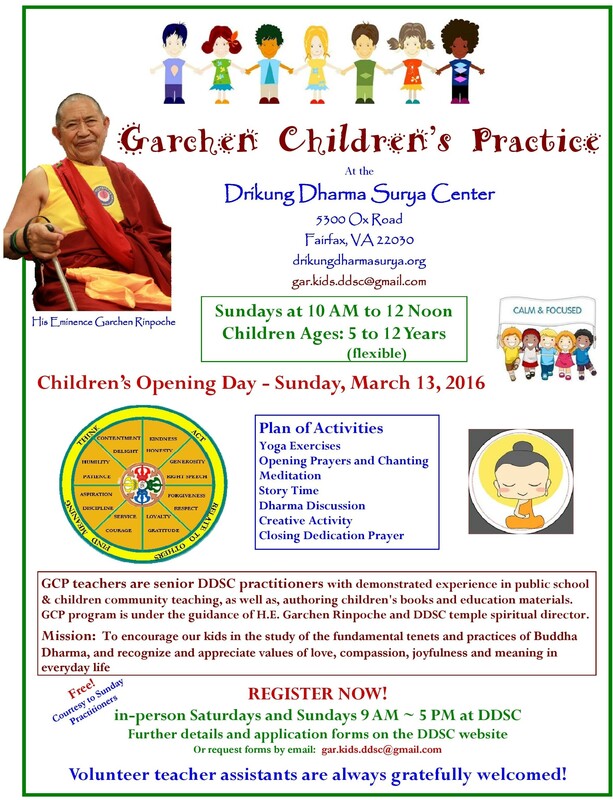 At the age of eleven, the Drikung Kyabgön Chetsang gave his first public teaching and transmission, a long-life empowerment, during the 1956 Monkey Year ceremonies of the Great Drikung Phowa. Subsequently he began his philosophical studies at the Nyima Changra monastic college of Drikung. Although he was four years younger he studied together with the second Drikung lineage holder, Chungtsang Rinpoche. His instructor was Bopa Tulku Dongag Tenpa (1907-1959), introducing him to the philosophy of Madhyamaka. He first studied basic texts, like The 37 Practices of a Bodhisattva by Ngulchu Thogme Zangpo and Introduction to the Bodhisattva’s Way of Life (Bodhicharyāvatāra) by Shāntideva. Rinpoche conceded to the appeals of the Drikung lamas in exile and so he was again symbolically enthroned as the Drikung Kyabgön Chetsang during a ceremony with the Dalai Lama. By this act he expressed the promise to take responsibility for the lineage in the future. Initially though, he traveled to the USA, where his parents had in the meantime emigrated to. There he learned English, while earning his living as a part-time at a McDonald’s and other restaurants. In 1985, His Holiness the Drikung Kyabgön Cheetsang received full monk’s ordination from His Holiness the Dalai Lama, during the Kalachakra initiation in Bodhgaya. He mastered all challenges with remarkable ease. 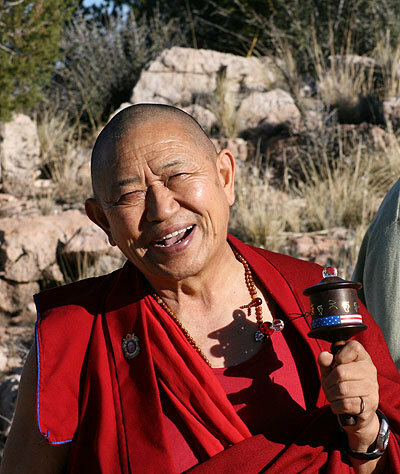 Since 1987 Chetsang Rinpoche began to give teachings in many countries throughout the world. At the same time he started to rebuild the weakened Drikung Lineage with great energy. In Dehra Dun, India, he established a monastery and an educational center, attracting many monks from Tibet and Buddhist practitioners from many countries: the Drikung Kagyu Institute. In the beginning it consisted of the monastery Jangchubling and the retreat center and nunnery Samtenling. The Drikung Kagyu Institute is an education center, which emphasizes both the traditional monastic education, as well as present-day training to meet the needs of these times. Special consideration is also placed on discipline, meditation practice and the specialties of the Drikung Kagyu teachings. In 2003, Chetsang Rinpoche established near his monastery a magnificent edifice: the Songtsen Library, a center for Tibetan and Himalayan studies. A building epitomizing in content, function and form the essence of his vision as a treasury and think tank for the cultural and spiritual identity of the peoples of the Himalayan region and of the Drikung Lineage in particular. It contains rare texts about all subjects of the Himalayan region, works on Tibetan culture, tradition and geography, and of course the Buddhist texts of all schools. It houses an important collection about the famous Dunhuang manuscripts unearthed along the Silk Road. There, an unimaginable wealth of texts in various languages dating from the 4th to the 11th centuries was discovered. The Tibetan corpus alone includes thousands of manuscripts of all kinds, including the earliest Tibetan medical drawing known at present. Thus these ancient texts provide the researcher with a vast array of source material on the earliest period of Tibet, which Chetsang Rinpoche would like to make accessible in its entirety, as his scope encompasses the preservation of Tibetan culture and religion.